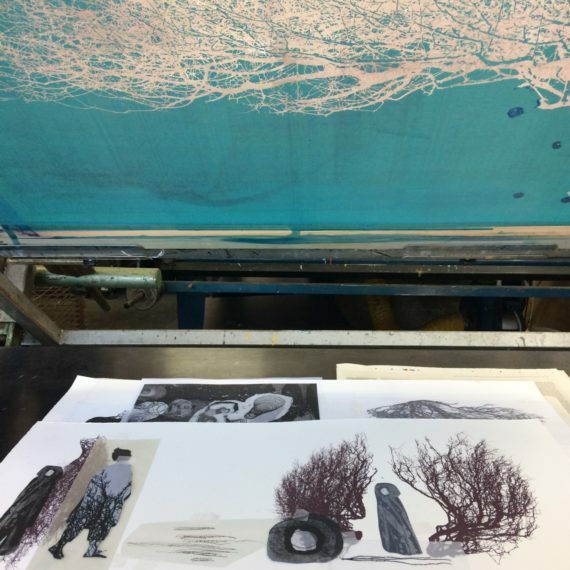 Starting a new series of prints at InkSpot today….using the haw and some figures scanned from etchings. 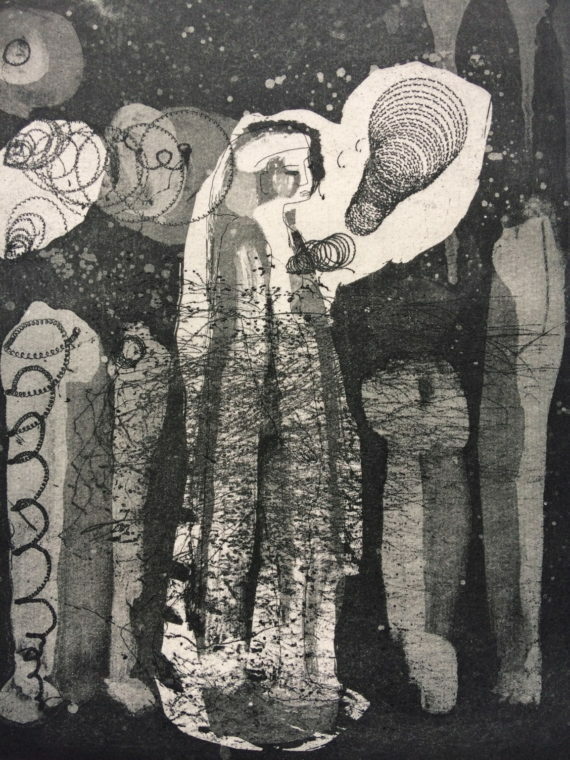 Figures amongst trees, or in sheltered areas of the landscape have been a thread in my practice from the very beginning. 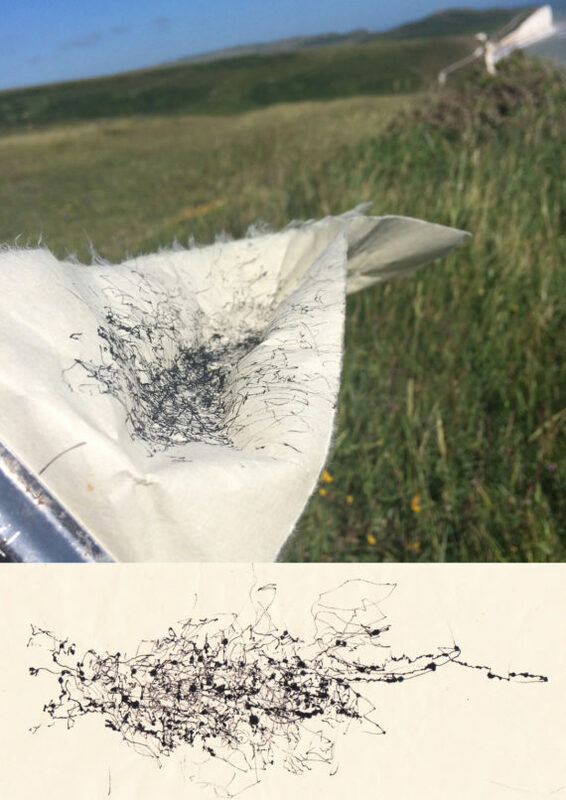 A more pictorial imaging of experience – connected to the wind and scrub drawings none the less. 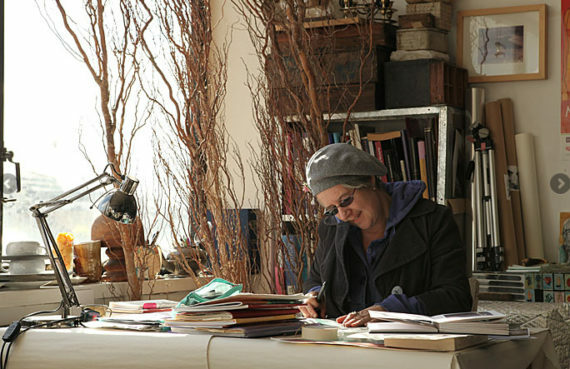 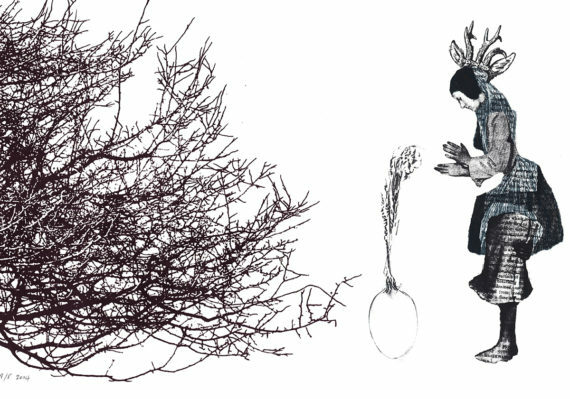 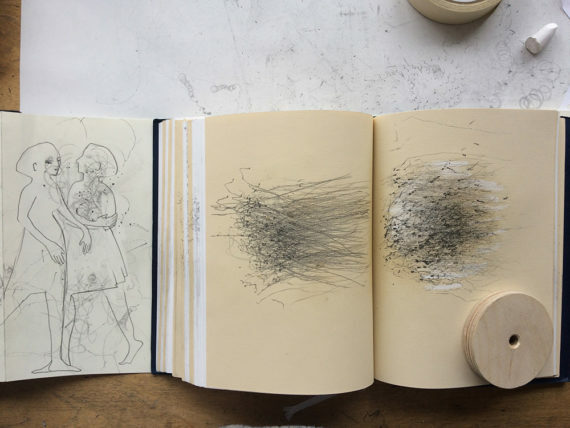 and a collaborative drawing research project Touching The World Lightly http://blogs.brighton.ac.uk/ttwl/ they began on a windy holiday in 2013 and re appeared in the Mourning Stone project in a different guise.